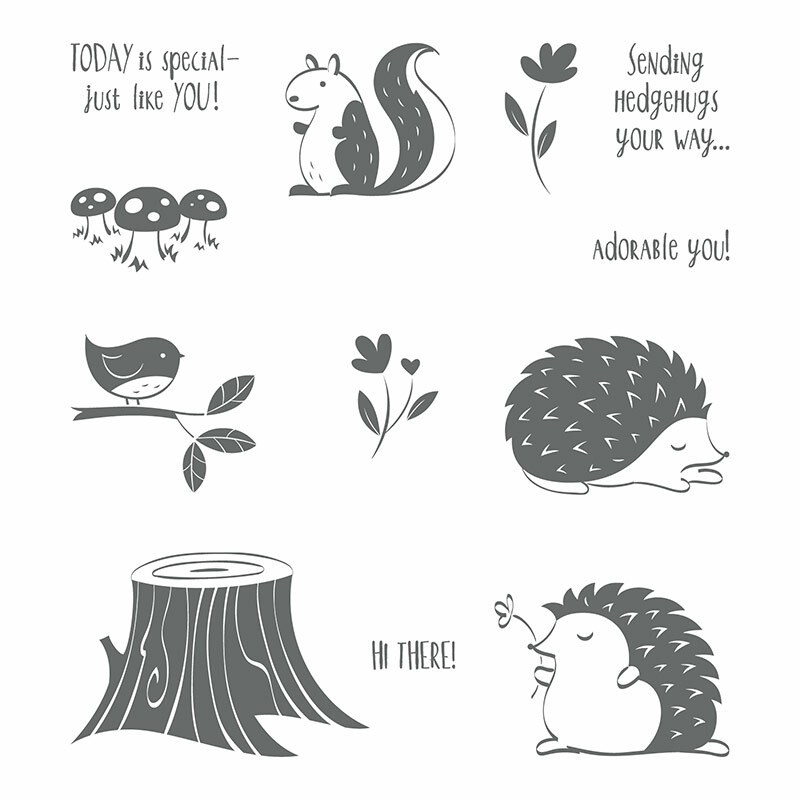 I am so excited to feature the Hedgehugs stamp set in an online class! This is such a cute stamp set and I have created some really cute projects for this class! I'll do all the prep work for you - you'll just stamp and assemble the projects!! I'll be taking orders for this class starting today through Jan. 31. One sheet of dimensionals for free as a thank you from me for taking this class! Step by step tutorial for each project! Here is a photo of the stamp set- adorable! And here's what you'll get in the class! You will need a Black ink pad (tuxedo Black Memento is my favorite) and a Real Red ink pad for this class. I've added an upgrade option to include these ink pads if you don't have them. Also if you have all the supplies and just want the tutorial, you can purchase it for $15. I'll email the tutorial to you in early February, after I send the class packets out. This class will be available for purchase through Jan. 31. I will order all supplies on Feb. 1 and will email you when the class ships (via priority mail). You don't want to miss this class! It is super cute and will provide a fun crafting time for you! 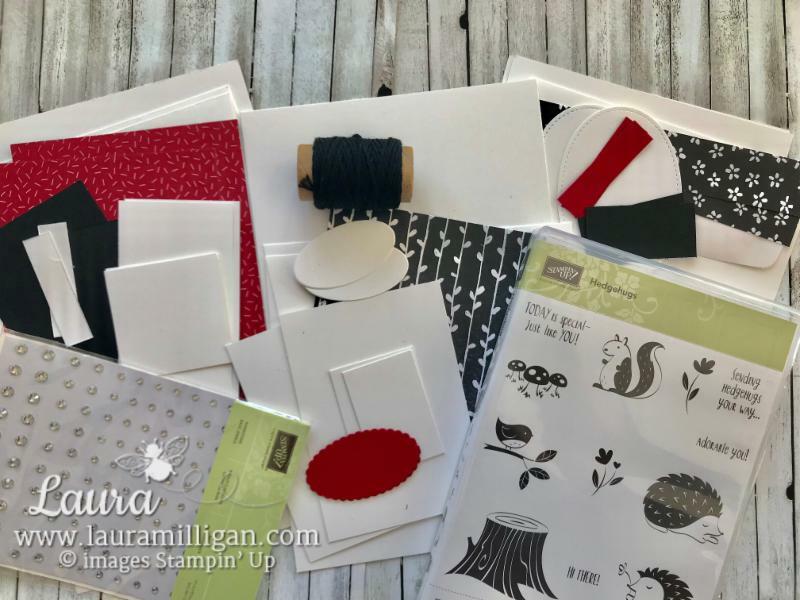 Email me at laura@lauramilligan.com to order the Hedgehugs online class!